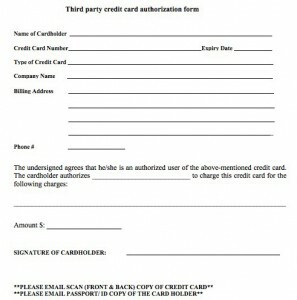 Need a 3rd party credit card authorization form template? Don’t count on wikiform.org and other internet resources that scrape the internet for free content and then redistribute it. There’s no guarantee that anything published is accurate, legal, or virus free. What’s wrong with this form? For starters, according to PCI DSS 3.1 standards, section 4.2, it’s never OK to email cardholder data. That problem alone is so egregious, I won’t go into all the other problems, since the 3D Merchant blog has other articles addressing them. Best practice is to abolish paper credit card authorization forms altogether and replace with alternatives such as online payments or electronic bill presentment and payment. 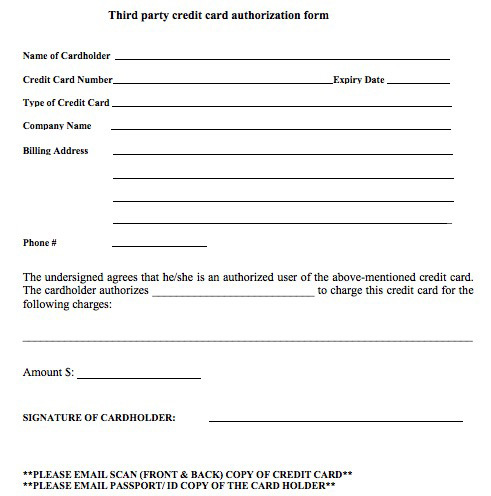 If a signature is desired, get it on the receipt, which contains critical data needed to defend a dispute; combining with signature on the sales order containing product description and confirmation for acceptance of return policy via a checkbox will make chargeback much harder. This entry was posted in Credit Card Authorization Form, security and tagged credit card authorization form, PCI compliance, pci Security Standards by Christine Speedy. Bookmark the permalink.